One thing the Dan Brown adaptations The Da Vinci Code and Angels & Demons cannot really be described as is fun. The Ron Howard-directed adventures starring Tom Hanks as Harvard symbologist Robert Langdon have been artfully made, but were largely beaten to the cinematic punch by the underrated National Treasure (and its far-sillier-but-just-as-fun sequel Book of Secrets). After adapting the second Langdon book first and the first book second, Howard and Hanks now skip to the fourth book for the third movie, but still can’t find the fun, nor really anything new to say. Unlike in the first two movies, Langdon begins Inferno with his greatest gifts, his memory and intellect, stripped from him. Of course, brain damage is no excuse to rest on his laurels. 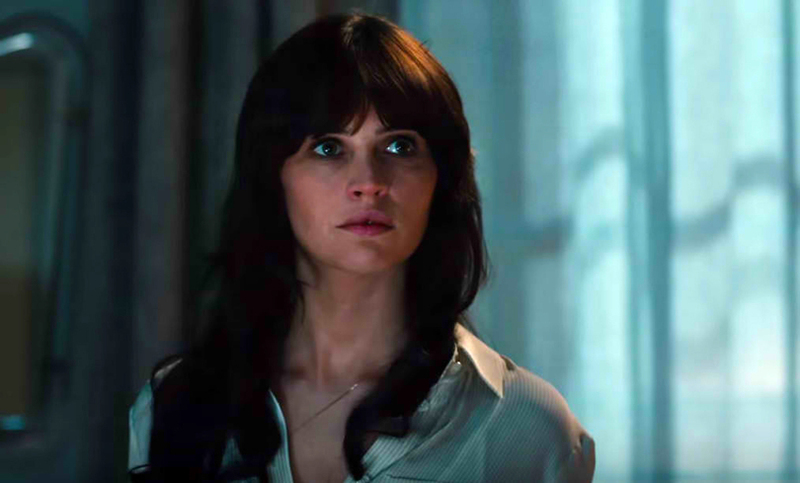 Before the first scene of Langdon waking up in a hospital bed with a head wound and memory loss is over, he’s already being shot at and making a run for it with Dr. Sienna Brooks (Felicity Jones). 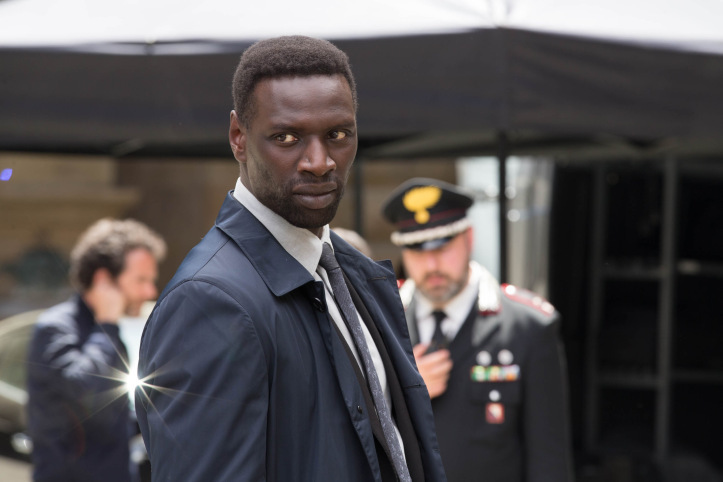 Fleeing through Florence without a memory of how he got there, Langdon and Brooks hide out in her apartment, where they discover an image projector of Boticelli’s “Map of Hell,” but with clues embedded in it. It’s the first clue left behind by genius billionaire Bertrand Zobrist (Ben Foster). Zobrist, whose death prefaces the main plot, believed that overpopulation was humanity’s greatest threat and has set in motion a plan to spread a plague designed to cull the global number by at least a billion. 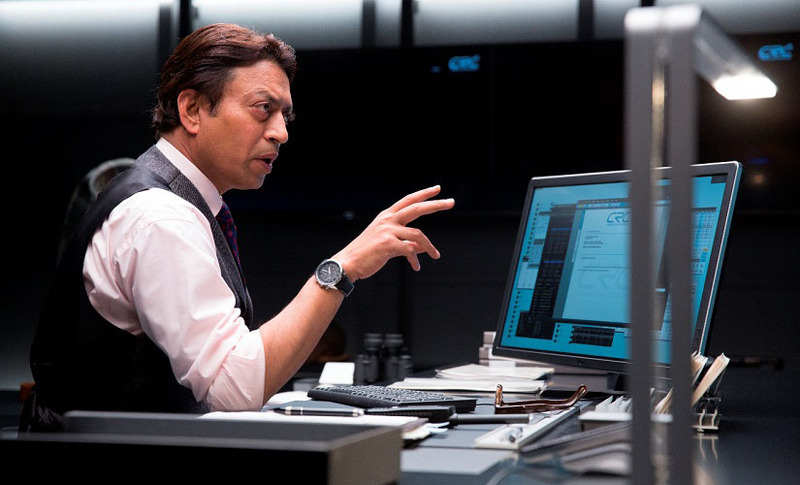 While Langdon and Brooks race toward stopping Zobrist’s plan, they’re also on the run from a number of mysterious characters, including assassin Vayentha (Ana Ularu), businessman Harry Sims (Irrfan Khan), government agent Elizabeth Sinskey (Sidse Babett Knudsen), and mysterious toughie Christoph Bouchard (Omar Sy). Unfortunately, what adds mystery in the novel just creates confusion in the movie. We’re left as much in the dark as Langdon is at the start, which should elicit some kind if suspense. For whatever reason, the movie never makes sense until well into it, and even when it does, a climax that should be incredibly tense doesn’t feel like it has the high stakes it should. 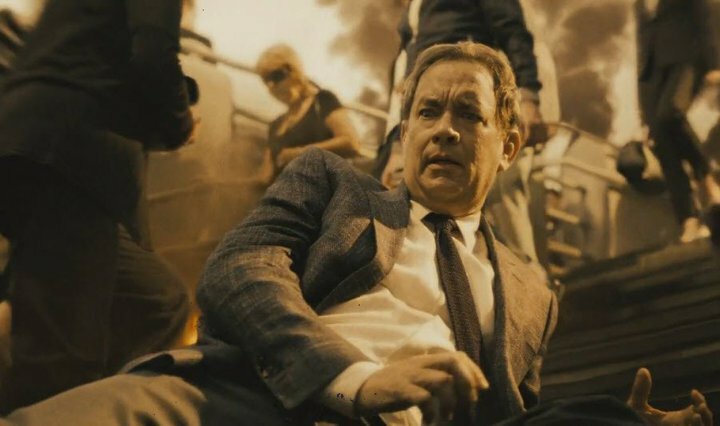 Hanks is reliably good as Langdon, having already played the character twice before, but does nothing more than play a serious version of himself. Jones is also good, but feels slightly uncomfortable trading in drama for action, the same way Alicia Vikander did in this summer’s Jason Bourne. Ron Howard, one of the most underrated directors working today, is capable of creating cinematic greatness. Two such pictures even starred Hanks. Yet despite — or perhaps because of — following the excellent Angels & Demons, Inferno is a big step backwards for Langdon and co. A few nightmarish hallucination sequences tap into the same darkness that pervaded the last movie, but otherwise Inferno remains lukewarm at best. Howard has said they struggled with getting a third Langdon adventure to the screen. Perhaps that’s because each of the other two followed soon after a National Treasure movie. If nothing else, perhaps Inferno’s infernal fumbling of a good story will inspire Disney to get moving with National Treasure 3.